At Chateau Development, we know that no two people are alike (which is also why we offer one-bedroom spaces). With two convenient campuses, seven separate complexes, over sixty unique floor plans, and over thirteen hundred apartments and townhomes to choose from, we truly offer something to please every taste. We also provide two leasing offices – one North, and one South – so we're always close by. 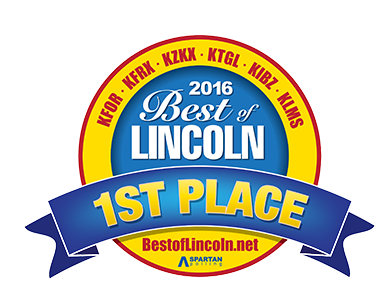 Locally owned and operated for more than forty years, Chateau Development is committed to making Lincoln a great place to call home. We strive to create better living situations throughout the community by supporting worthwhile organizations such as the Foundation for Lincoln Public Schools, the Lincoln Children's Zoo, Boy Scouts of America, Lied Center for Performing Arts, Habitat for Humanity, the Sunken Gardens Restoration, Lincoln Partnership for Economic Development, Lincoln Chamber of Commerce, and more. At Chateau Development, we're eager to help you find the perfect place that you'll want to call home. We have over 1,300 units on two campuses that offer the best of privacy, convenience, comfort, and style to offer a superior living experience. With our helpful and responsive maintenance staff, convenient onsite fitness centers, and plenty of extras, it's no wonder we've been voted Best of Lincoln by our community for the last sixteen years.